The remake of the 1980's cult classic stars Hemsworth along with Josh Peck, Josh Hutcherson (Peeta in The Hunger Games), and Adrianne Palicki. It follows a group of teenagers who go guerilla to defeat a North Korean attack on their city. 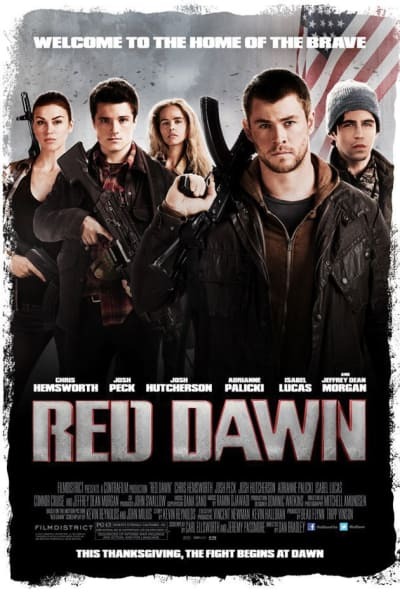 Red Dawn premieres November 21. For a closer look, check out these Red Dawn stills.